Each year, more than 1,500 pedestrians are injured on roads in NSW. Here are some of our top tips for pedestrians to keep safe and avoid personal injury. However, if you are involved in car accident it’s important to get in touch with a car injury lawyer as soon as possible. Make sure to cross at a pedestrian crossing if one is available on the road. In many personal injury claims, pedestrians are held to be contributorily negligent for their injuries if they failed to use a nearby pedestrian crossing when they are injured while crossing the road. Just as you would at a pedestrian crossing, always cross at a traffic light if there is one nearby and wait until the green light shows you it’s safe to cross. In a recent personal injury case, a pedestrian who was fatally injured was ruled as 75% contributorily negligent for disobeying a red light in front of a taxi when crossing a road with friends. Keep a lookout for cars every time you are about to cross a road and check both ways. Don’t let yourself be distracted by your mobile phone as you cross a road – take out your headphones and pay attention to the traffic around you. Failure to keep an adequate lookout for cars has been another reason for pedestrians to be held contributorily negligent in personal injury cases. Drivers must give way to pedestrians if there is any chance of hitting them. However, as a pedestrian don’t assume that a car will stop – to avoid personal injury always wait until a vehicle comes to a halt before walking in front of it. In order to minimise the chances of pedestrian personal injury, special speed zones have been designated in high-risk areas. School zone areas are clearly signed across the state, with a speed limit of 40 km/h during pick-up and drop-off times on school days. In the Sydney CBD, the government has also recently introduced a 40 km/h speed limit in high-risk areas for pedestrians. In shared zones, such as shopping centre car parks, the speed limit is usually designated as 10 km/h to reduce the risk of pedestrian injuries. Our road rules dictate that people on skateboards, scooters and roller blades are also counted as pedestrians. They are allowed to ride on footpaths with other pedestrians, but must keep left and give way to those on foot. In crowded areas, they should dismount for everyone’s safety. They may also ride on bike paths but, again, they should keep to the left and stay out of the way of cyclists. If you’re ever injured as a pedestrian by a motor vehicle, be sure to contact an experienced personal injury lawyer to help you get the compensation you deserve for your injuries. 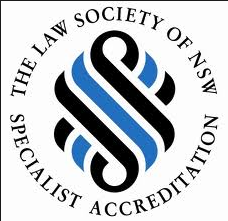 Our friendly team at NSW Compensation Lawyers have the knowledge and skills to get you the best possible outcome.